Everyone makes mistakes. How we react to our mistakes says a great deal about our character. Take home renovation contractors. Anyone who's ever watched HGTV knows Mike Holmes. He's made a name for himself with his intolerance of incompetence and his never-ending desire to "make it right", whether the problem is big or small. He's even been satirized on the Canadian socio-political comedy show "This Hour Has 22 Minutes". Kitschy comedy aside, no one likes to be taken for a ride. Scammed. Lied to. So when things go wrong, what can we do? You can contact the Better Business Bureau. If you're Canadian, you can always call CBC's Marketplace and hope your story makes for good television. You can write a scathing online review. Or you can take the most obvious and direct route; contact the company itself before taking any of those other steps. What does this have to do with whisky? Stay with me. 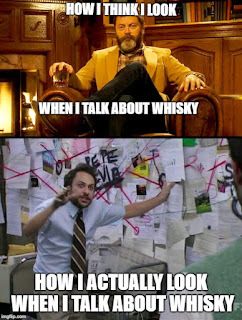 All of the whisky world's cool kids talk about Glenfarclas. They're still family-owned and family-operated. They're independent. They don't ever use E150A (caramel colouring) in their whisky. All but one of their whiskies carry an age statement. They're consistently good or great. Wait, hold the phone. They had me until that last statement. After reading and chatting a lot (too much?) 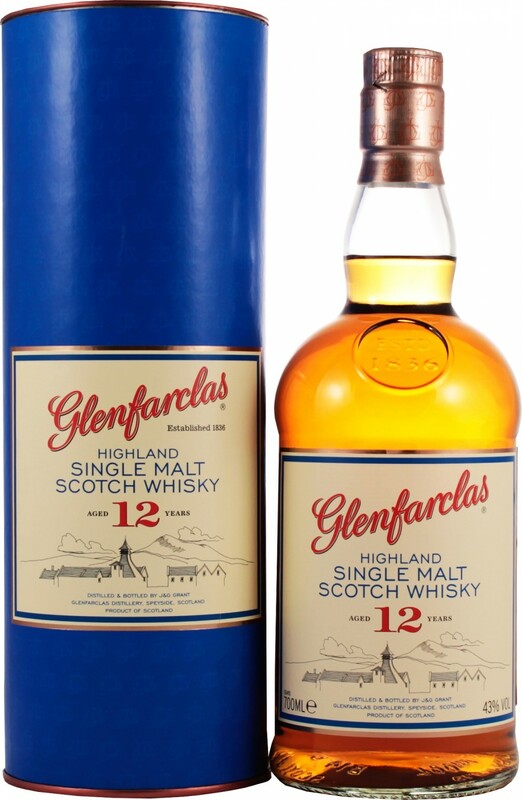 with folks online, I decided to buy a bottle of Glenfarclas 12. When I opened it and poured a dram, its aroma was odd. Different than anything I had ever nosed. So I left it for half an hour to "open up" and when I came back, it was still "off". I tasted it and was dismayed. Something was wrong with this whisky. 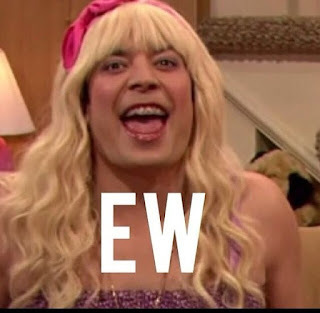 How could the hipsters sing the praises of what, to my palate, was fizzy vinegar? I put the bottle away for a few weeks, thinking it might need some time to settle down. I came back after two weeks and it was worse. Now I was puzzled. It's a 'ig'land malt, with no "h" becauses "h"s are EW !! I took to the interwebz in search of answers but everyone seemed as puzzled as I was. Few people had heard of a bad Glenfarclas, nevermind tasted one. I had some people mention the dreaded "s" word (sulphur), but I've tasted sulphured whiskies and this wasn't one of them. Sulphur tends to smell and taste of spent match and/or rotten eggs to my palate, and this was fizzy vinegar. I emailed Glenfarclas to inform them of this situation, but I returned the bottle to the LCBO as I was not willing to "chalk it up to bad luck" and cut my losses as one online acquaintance suggested. As much as I abhor the LCBO on an organizational level, the employees of the store I most frequently visit are quite helpful and accomodating. They accepted the nearly-full bottle as defective and gave me a refund, which was "re-invested" in libations for this blog. About a week later, I was contacted by Glenfarclas who went out of their way to make this right. Glenfarclas was shocked at my experience as this has not, according to my source, ever happened in Ontario. This might seem unbelievable to some, but the whisky blogosphere seems to confirm this impression. Nevertheless, I was very impressed with the way Glenfarclas handled this unfortunate situation, which may or may not have been their fault. A lot of things can affect whisky which contains many volatile compounds. I'll spare everyone my notes from the bad bottle. They aren't worth remembering. The notes which follow are for my second bottle. Let's make it right ! Nose (undiluted): a big hit of red grapes, bright sherry, a slight lemon note, some fresh tobacco and a very slight, almost imperceptible smoky note. I may have imagined the smoke. Palate (undiluted): a hot arrival for a whisky bottled at only 43% ABV, medium-bodied, bright sherry, not too sweet, walnuts, raisins, a touch of milk chocolate and a bit of cloves. Adding water toned down the tobacco on the nose and brought forth some green apple, a bit of toffee, and cinnamon. The taste with water was a bit less nutty and a bit spicier, but the mouthfeel was not as pleasant when diluted. Interesting for analysis, but when drinking strictly for enjoyment, I'll take it neat, thank you very much. I'm not delusional. My first bottle really was spoiled, somehow. I'm also not arrogant enough to think that this blog could permanently damage a much-lauded brand. Not that I would want to use my (laughably limited) powers to such nefarious ends. From a business perspective, it makes more sense to keep customers happy than to ignore them. 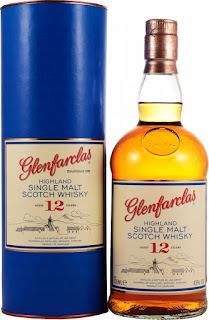 My first bottle of Glenfarclas 12 was undrinkable. Whether this was a faulty cork, improper storage by the LCBO, or some other ethereal alchemy is irrelevant. My whisky was bad and Glenfarclas has handled this situation as well as any business could. I've kept my review of this second bottle as objective as possible. I like this whisky. I think it would be better with a few more years in the cask. I think this 12 Year Old would go from good to great if it was 15-16 Years Old and if it was released at 46% to 48% ABV. My impression of Glenfarclas as a brand and business is high. My impression of this bottle of 12 Year Old Single Malt Scotch is very good, but not great. At the current LCBO price, however, there are few bottles that can rival it. Recommended. If you enjoyed this post, please share it or comment.